That's a wrap! 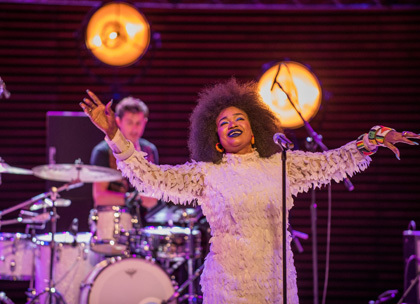 The 23rd edition of WOMEX in Katowice, Poland has come to a close and what an edition it was!! Celebrating with friends both old and new, 60 acts performed across 7 stages to 2600 music professionals from 90 countries. WOMEX also saw its biggest Trade Fair to date. 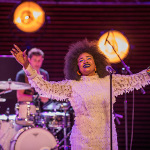 Closing WOMEX today, Malian singer Oumou Sangare took to the grand stage of the NOSPR Concert Hall, after receiving this year’s WOMEX Artist Award. Alongside Petr Dorůžka (Czech Republic) who was presented with the WOMEX 17 Professional Excellence Award and Glitterbeat Records who were named winners of the WOMEX Label Award. As we continue to cross borders and share in this special community of music lovers - thank you to all those who attended and we'll see you in Las Palmas de Gran Canaria in 2018!! !